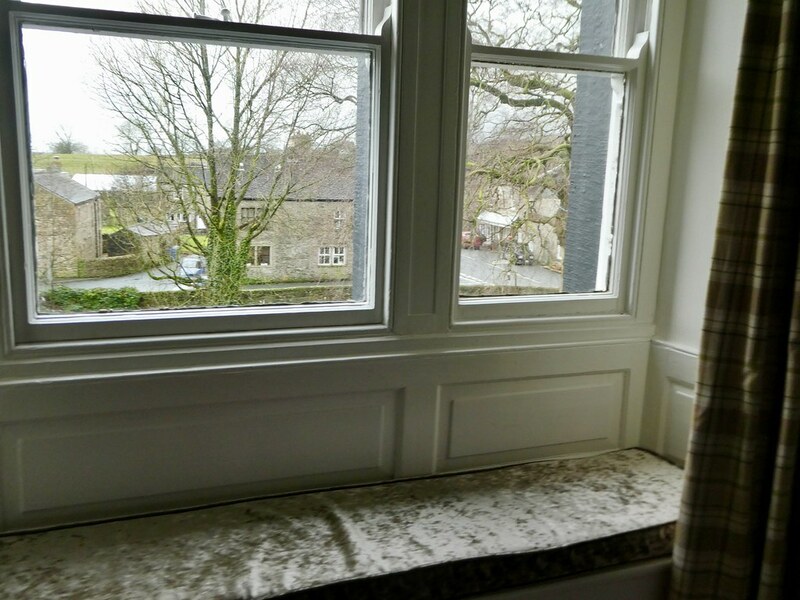 Our four poster bed was so comfortable at the New Inn that I could have slept in longer if it wasn’t for the lovely view of Clapham Beck from the bedroom window along with a glimpse of early morning sunshine. Breakfast was served in the hotel’s bistro where we found a varied selection of fruit, yogurt, cereals and pastries. 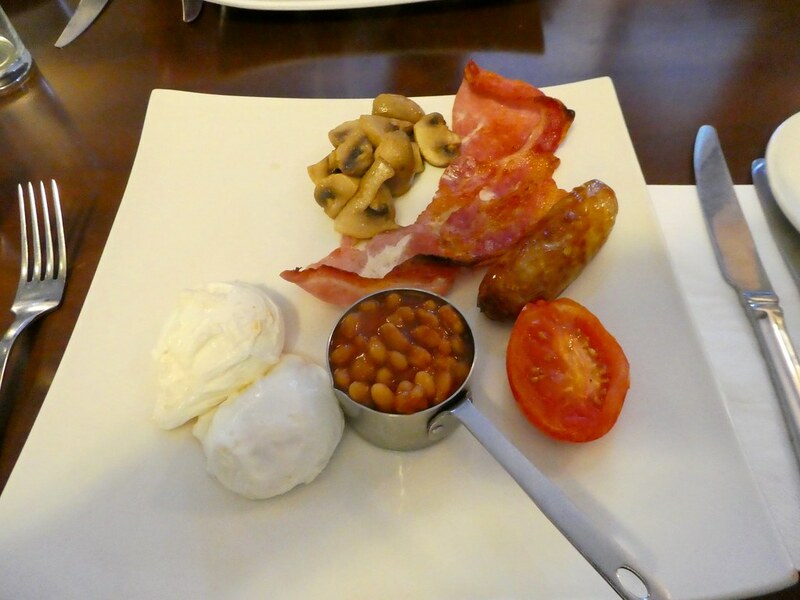 We then selected traditional cooked breakfasts from the menu which were prepared to order and attractively presented. I especially liked the miniature pans the baked beans were served in and the extra thick bread for toasting which tasted delicious spread with home made marmalade. Although I like jam, given the choice I prefer a tangy, thick cut orange marmalade at breakfast time. After drinking several cups of coffee and being tempted into eating chocolate croissants and slices of rich fruit cake we returned to our room to gather our belongings together and set off on our way. It had been so relaxing staying at this former coaching inn with its roaring fires, good food, luxurious accommodation and friendly hosts and I would highly recommend a stay if you are considering a visit to this beautiful part of Yorkshire. 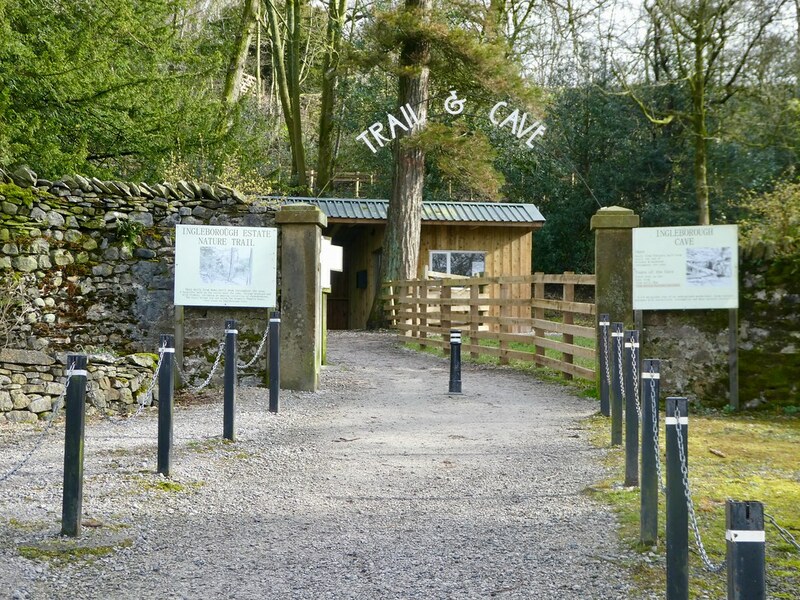 Whilst visiting Clapham we wanted to take the opportunity of visiting Ingleborough Cave so we wandered through the village to the start of the Ingleborough Estate nature trail. 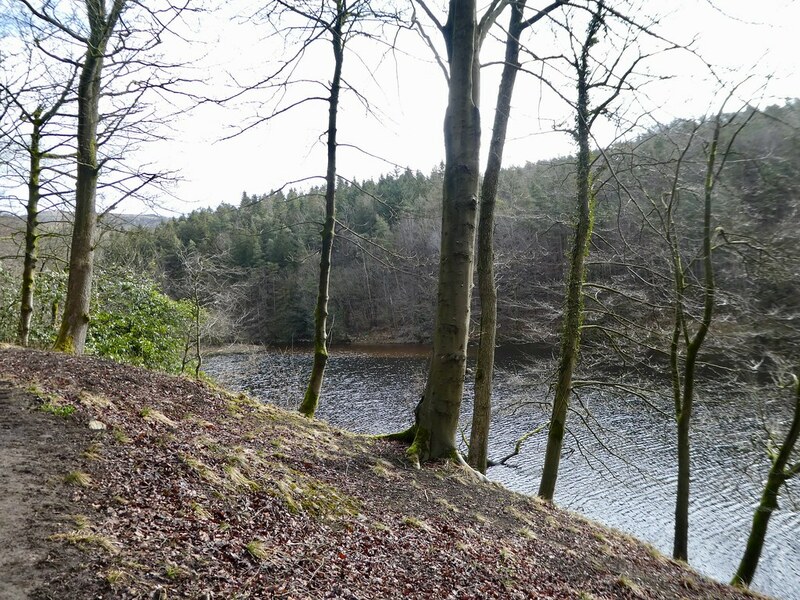 The cave itself is approximately a thirty minute walk, with the trail passing through woodland and alongside a small lake. Ingleborough Estate Nature Trail and Cave Entrance. The path to the cave is level and there are several look-out points with benches along the way. Numerous helpful information boards en-route describe the rare plants that have been cultivated there. Tours of the cave run on the hour and last 60 minutes with adult admission costing £9. After collecting a hard hat from a trolley we joined a party of primary school children on our underground tour. The cave follows a trail of 500m along well laid concrete paths which are floodlit for ease of access. It was necessary to stoop along two sections but being small has its advantages as I only had to bend down slightly. 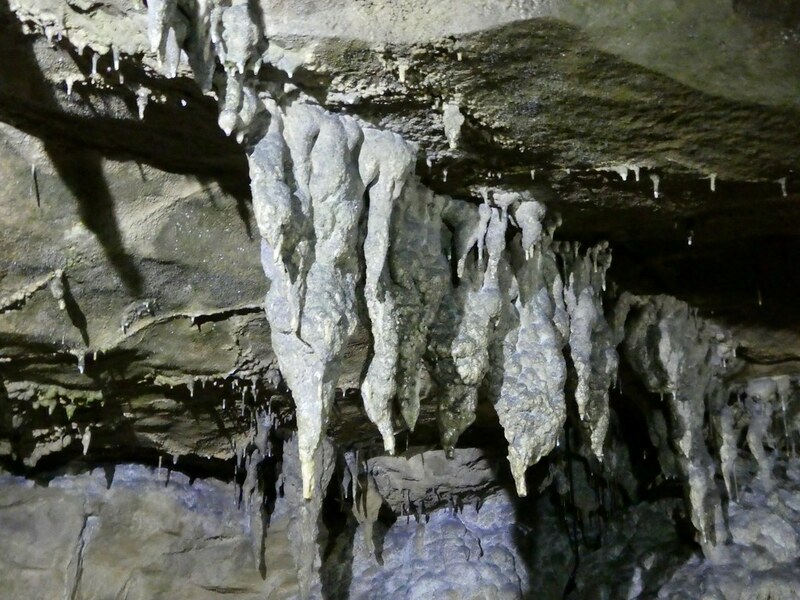 Our tour guide stopped at various points and pointed out numerous features of stalagmite formations, and where stalagmites and stalactites have joined to form a pillar. it was also interesting to view flow-stones where the water flows over the top of a rock depositing limestone. This forms in thin layers which become rounded as they get thicker. It was fun taking the tour with a class of 8 and 9 year olds and I was impressed with their understanding of geology when questioned by the guide. They were all very well behaved and a credit to their school even if they were amused at their teachers having to bend down through the tunnels when they could easily fit through. Leaving the cave, we retraced our steps along the nature trail but just as we approached the village the weather changed and we had to hurry back to the car through a hailstorm. 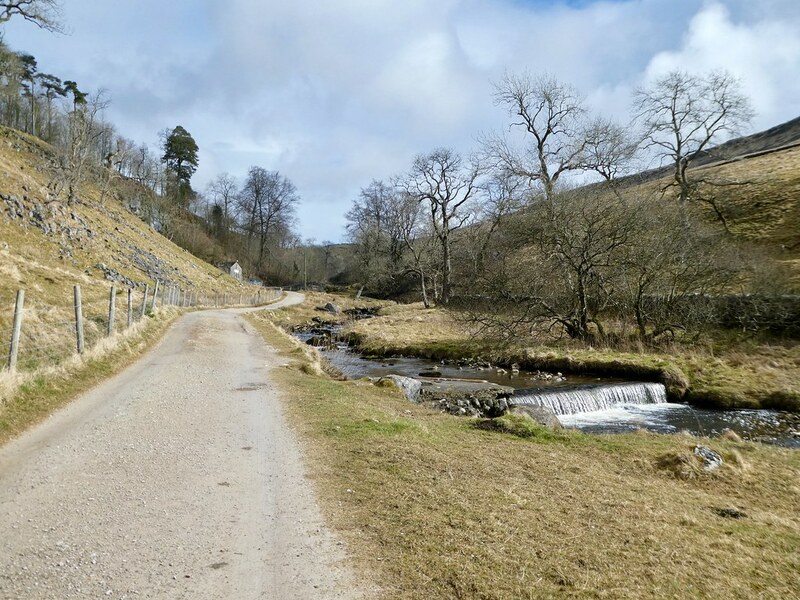 It had been our plan to follow a trail to the neighbouring village of Austwick taking approximately 40 minutes. Not wanting to get absolutely drenched, we took the easy way out and instead drove there in just five minutes. 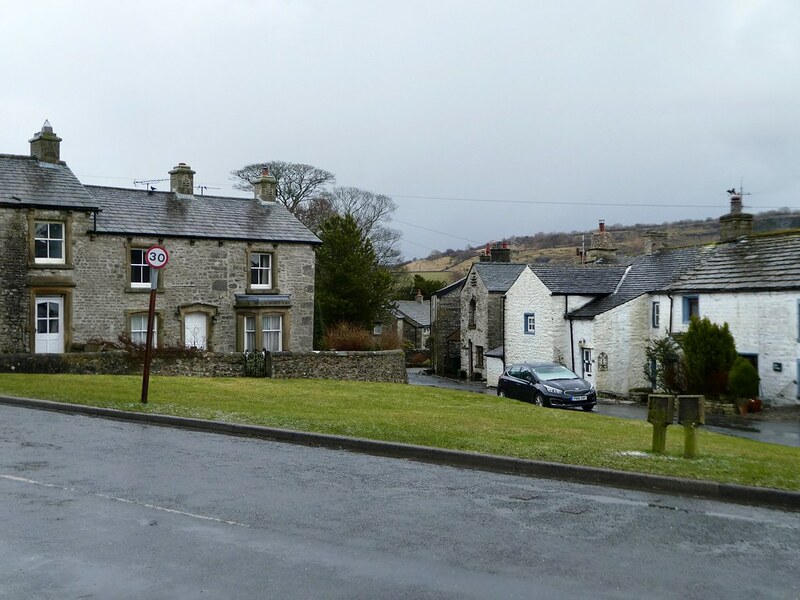 Like Clapham, Austwick is another unspoilt dales village with a small village green, post office and pub. After a light lunch we headed back towards Settle, stopping on the way to look in the Courtyard Dairy which is a specialist cheese shop and cheese maturer. 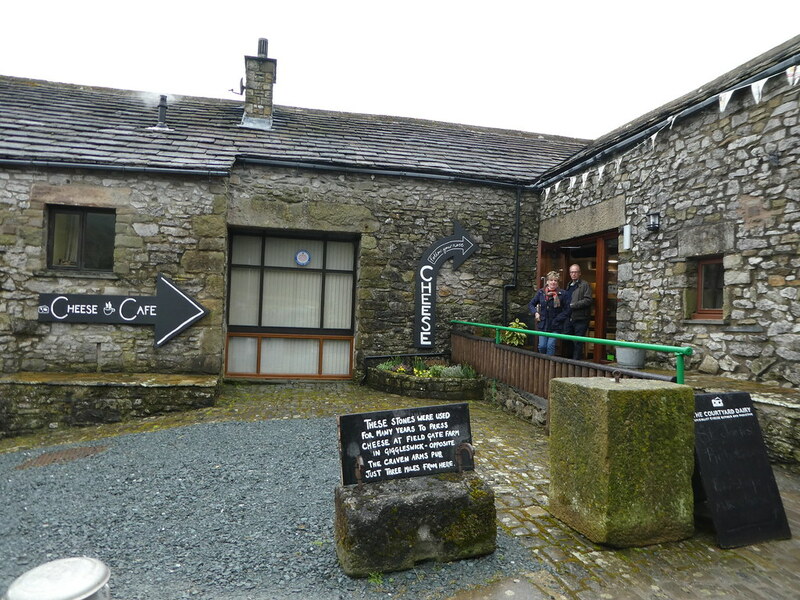 On the ground floor there’s a small museum telling the history of farmhouse cheese and demonstrating how it is produced with a cafe serving cheese inspired dishes on the upper floor. We found the cheese shop in an adjoining room which had a large selection produced by independent farmhouse cheese makers. 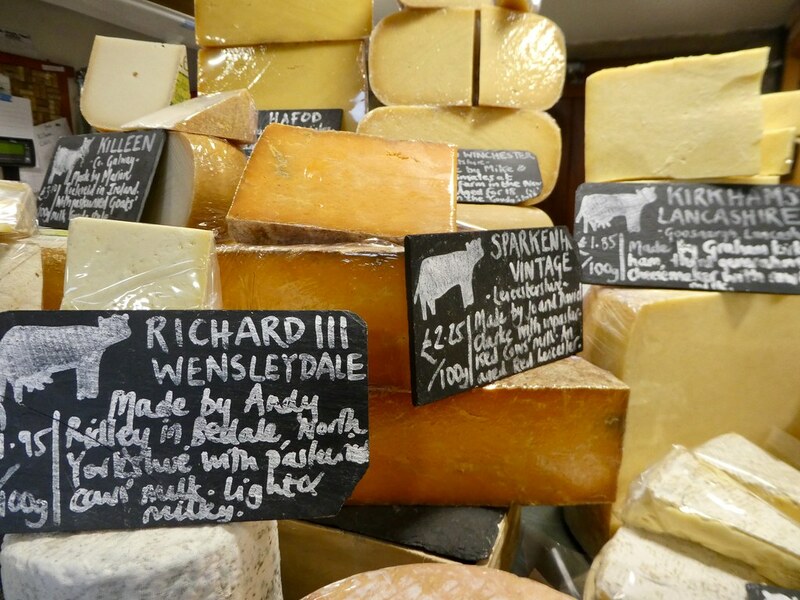 The cheese is all hand made and then aged to perfection in the maturing rooms of the dairy. We were spoilt for choice deciding what to buy as all the ones we sampled tasted delicious. Decisions made, we bought a few wedges to take home and headed on our way. Our two days in Clapham had been lovely despite some inclement weather and we enjoyed some varied activities during our visit. 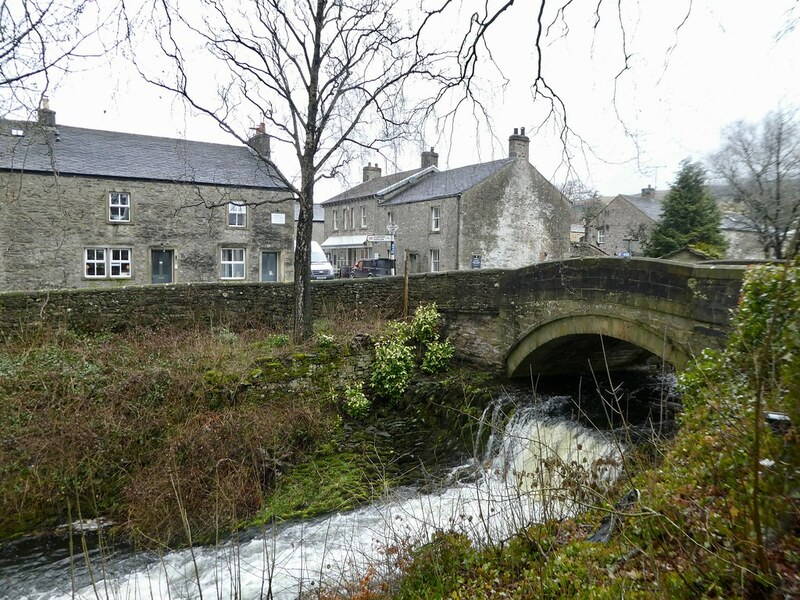 Other interesting things to do in the area include visiting Ingleton, a ten minute drive from Clapham. It’s another beautiful village with attractive shops and cafes and a picturesque five mile waterfall trail which is lovely on a sunny day. 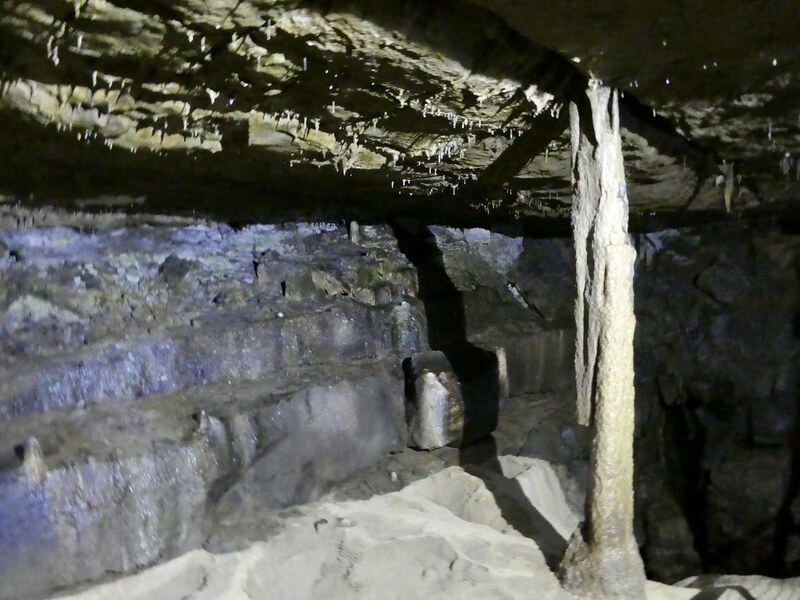 For the more adventurous, local caving clubs set up a winch on the May and August bank holiday weekends down Gaping Gill which is a 98 metre pothole feeding the highest unbroken waterfall in England. The intrepid can be winched down by bosun’s chair into the vast underground cavern but must pay £20 to return to the surface! All proceeds going to charity, further details can be found here. I would like to thank the New Inn at Clapham for arranging our visit. As always, all views and opinions are entirely my own. Thank you, visiting the caves was an awesome experience. Some caves around the world are really beautiful. They appear as grand rooms with crystal chandeliers hanging majestic and gleaming when lighted up. 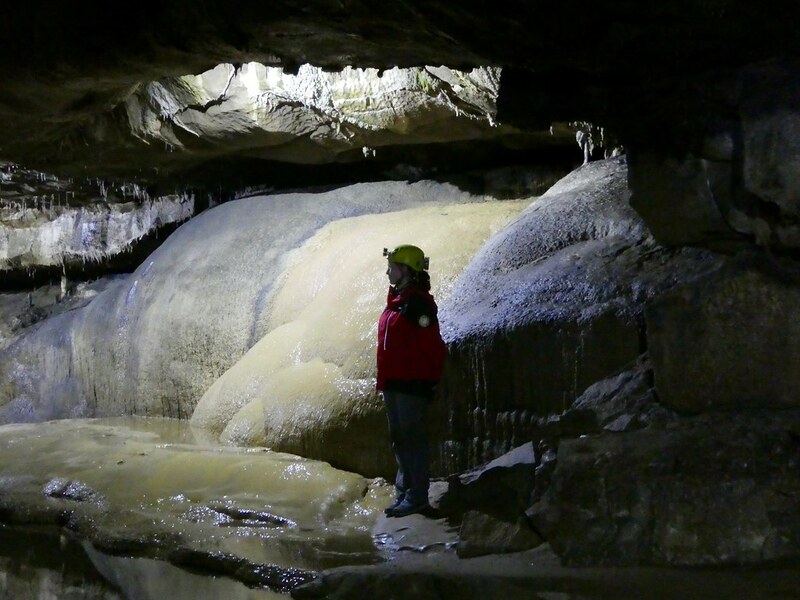 I totally agree Ian and Ingleborough Cave Gita into that category, it was stunning! This is a lovely little gem I’m going to mark down for my next trip to the UK. Interestingly, we were just on a little tour yesterday here in BC of an old mine in our area so we also had on the miners’ hats and lamps as well. I’ll probably put a little blog up on that today or tomorrow. I certainly understand the inclement weather as we often refer to our West coast as the Wet coast. Lovely to hear from you Debbie, I hope you get an opportunity to visit Clapham and the Ingleborough Caves when you next visit the U.K. I would buy a travel book entitled, “A Lovely View of Clapham Beck.” Thanks for a look at the cave. The sort of natural attraction I always want to stop to tour wherever we go. Thanks Brad for your kind words about a Ingleborough Cave they are much appreciated. Caves are always fun to explore! It’s a whole different world underground in the dark. Sounds like you’re having quite the adventurous trip! It was a lovely short break based at the New Inn in Clapham and it was fun to explore the caves. Gee Marion this sounds like a fantastic trip. That breakfast looks so lovely. Loving the beans in the little pan too. It was a lovely short break and interesting to tour the caves Sue. Thanks Marcus, the caves are spectacular and easy to navigate. Really interesting and fun to read post. I had no idea this place existed until coming across this blog. Thanks Luke, the caves are well worth a visit if you are in the area. I’m sure I will be sooner or later! The caves are stunning and are not too low in most places so you might be all right there. Thank you for your comments. It’s so nice to hear from you and to learn you’ve been to several caves in the US. 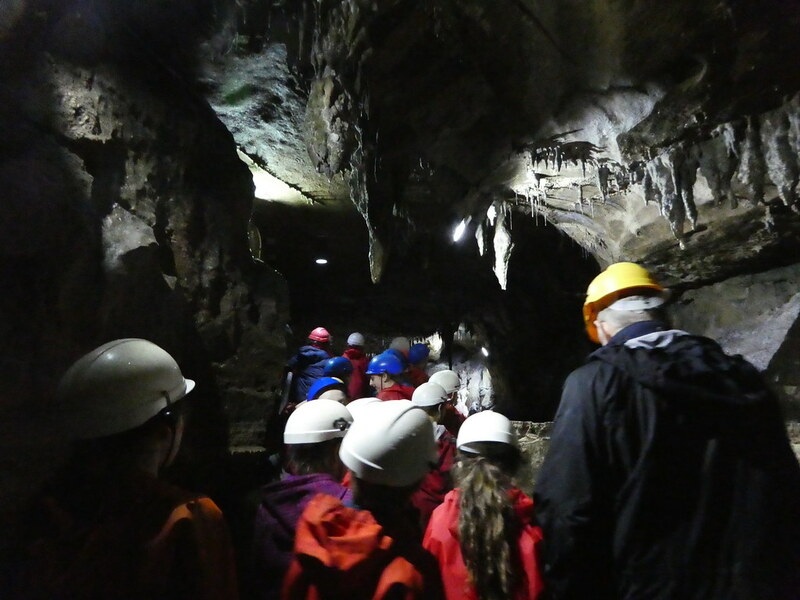 We enjoyed our overnight stay in Clapham and visit to the Show Cave. Thank you, we had a lovely time and the snow cave was very interesting. At least you walked off some of those gastronomic delights! Sounded an interesting tip!. It was a lovely short break Joy in such a lovely part of Yorkshire. Thank you, the Show Cave is stunning. I love Yorkshire, and your photos and takes make me want to go back! Thank you for your kind words, it’s lovely to read that you also love Yorkshire. Sounds like a great adventure. I really must visit more of Yorkshire some time soon. The Clapham area of Yorkshire is beautiful Annie. I hope you get a chance to visit before too long. It wasn’t really scary Jessica and being small I didn’t need to bend down very much but I wouldn’t want to go in a cave without a tour guide. I must have been about 12 years old when I first visited Ingleborough Cave. No hard hats, though … not even electricity. The guide carried a Tilley lamp! I think this may have added to the atmosphere; when I visited with the kids 20 years later, it seemed the electric lighting took something away from an experience I’ll never forget. I’m certain it must have been more atmospheric without electricity but times change. It all looks lovely, and that cheese shop………! Yumm! Clapham and it’s surrounding countryside is really beautiful and I can never resist buying cheese. We thought it was beautiful too. Thank you once again for your thoughts. Your comments and photos are wonderful. 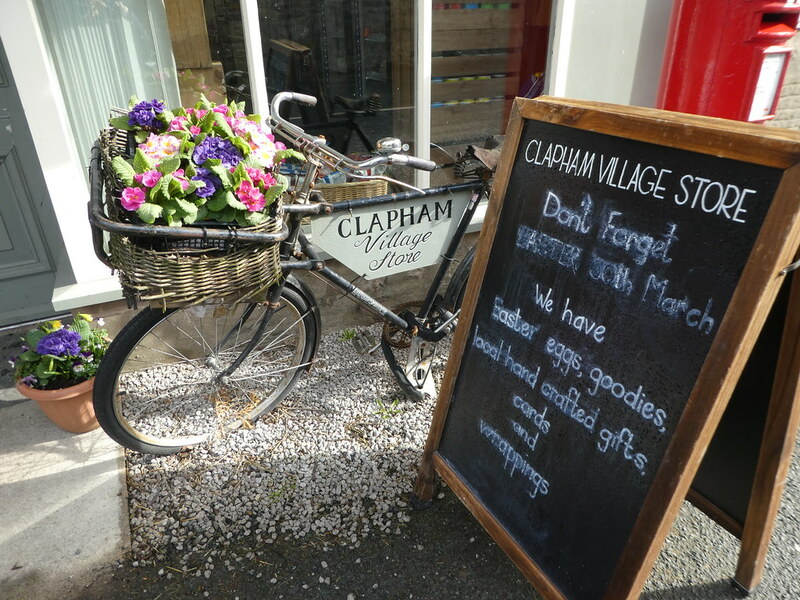 I so enjoyed the Yorkshire Dales and now the visit to Clapham. Thank you so much for your kind words, it’s so nice to receive your comments.